A diagnosis of prostate cancer is shocking and most often quite unexpected. The thought of a tumour growing inside you is sickening. 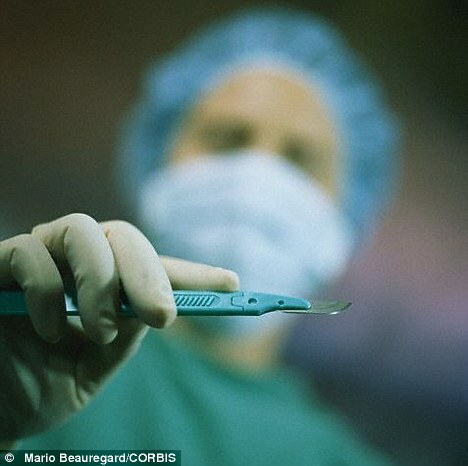 Don’t rush into an operation … it could be the worst thing you do. Almost immediately, men face a decision about treatment – and the first impulse is, for many, to want it cut out. As an oncologist with more than 15 years specialising in the condition, you might expect me to agree. In the Prostate Intervention Versus Observation Trial (PIVOT), Half of the men underwent surgery to remove the prostate – known as ‘radical prostatectomy’ – the others did ‘watchful waiting’, which means they had no immediate treatment. In those diagnosed with a PSA score lower than 10 and a Gleason score of 6, I would not normally advise surgery. Instead, I would usually recommend active surveillance – which is a halfway house between watchful waiting (doing nothing) and surgery. The patient undergoes regular testing – MRI scans, blood tests and biopsies – to monitor the cancer. It is important that a man who has been diagnosed with low-risk prostate cancer overcomes the psychological hurdle that he has a cancer inside him. Whether you suffer from low or high-risk cancer, there should be regular dialogue between your doctor, oncologist, urologist and yourself. Apart from the specialists (oncologist, urologist, radiologist), you need a local doctor you can relate to to supervise your progress towards cure or not. The specialists are only concerned with the tumour, they have no concern for the patient. Something else that the study highlights is that too many men are being diagnosed with the cancer in the first place. If low risk prostate cancer does not need any treatment then it does not need to be diagnosed either. *** This is the final article published posthumously on behalf of Greg.